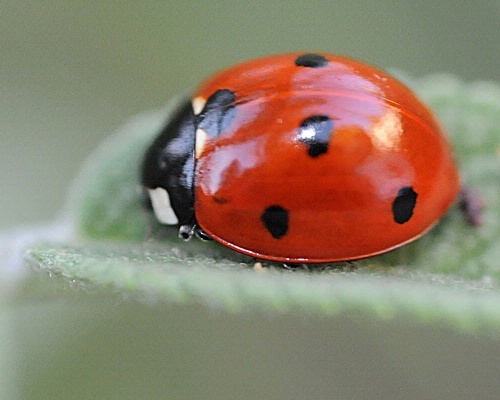 Here’s another good reason to be kind to ladybugs. But we are, aren’t we? EurekAlert! alerted us Jan. 6 to a study relating that an abundance of ladybugs in olive orchards is an “indicator of health and sustainability.” In the study, scientists in Spain collected ladybugs in olive orchards for two years and found that the richness and abundance of ladybugs "were higher in the organic than the non-organic orchards." In other words, roll out the welcome mat. Strike up the band. Sound the trumpets. Clang the cymbals. This beneficial insect deserves it. Present concern for the negative environmental impacts and growing demand for organic olive oil, arise the need to develop useful indicators of agroecosystem health in olive-growing regions. One key indicator of health and sustainability is the abundance and biodiversity of invertebrates, especially arthropod fauna. Spanish scientists have determined that Coccinellids (ladybugs) can be used to distinguish organic, conventional and integrated farming systems.--EurekAlert! The research is the work of Belén Cotes and Mercedes Campos (CSIC, Spain); and Francisca Ruano, Pedro A. García and Felipe Pascual (University of Granada). It will be published in 2009 in the journal, Ecological Indicators.